I try not to play favorites with my customers, but some of them make it hard. Like Tiffany Julia, also known as @aerialovely. Tiffany blogs over at aerialovely.com and creates beautiful pages that are truly works of art. 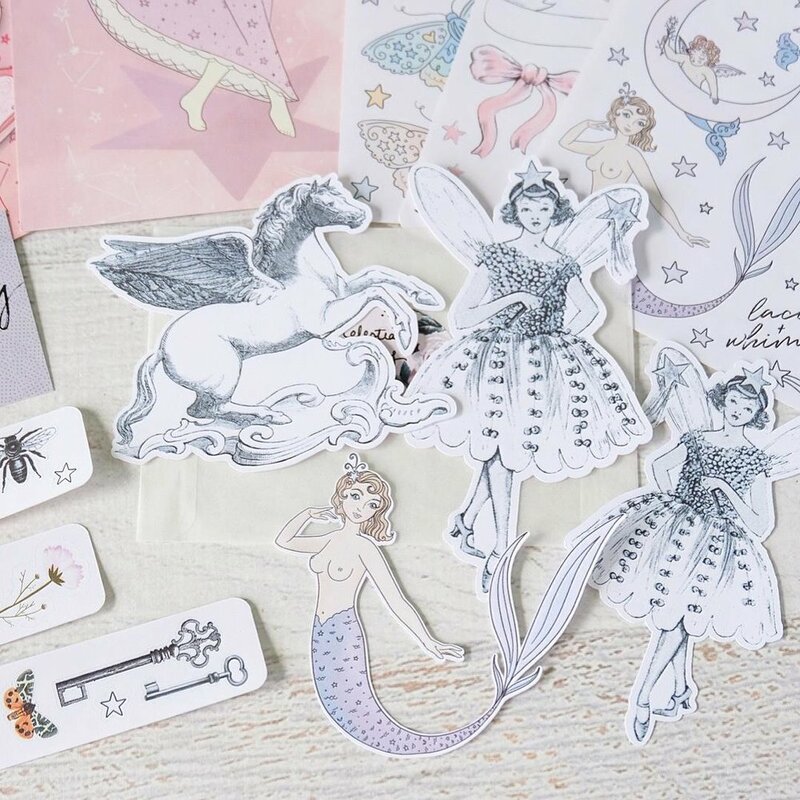 So of course when she uses Lace & Whimsy goodies in her projects, I freak out a little. I recently sent Tiffany a package of products to play with and help me promote. She posted a lovely unboxing video. If you've ever wondering what it's like to unpack a huge haul of Lace & Whimsy goodies, this video gives you a little taste. I especially love this unboxing video because of Tiffany's attention to detail. She knows all of the product names and what collections they are from. Her videos are amazing quality and quite calming to watch. I can't wait to see these stickers pop up in future projects Tiffany creates. 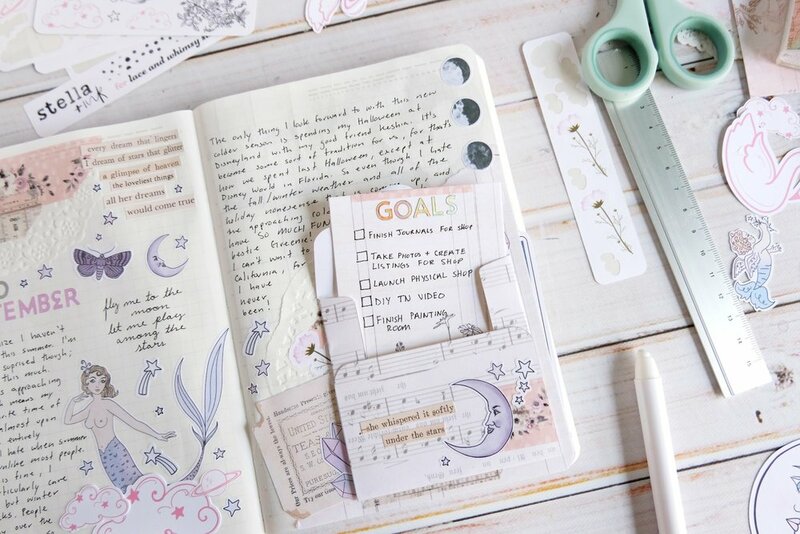 Everything Tiffany creates is breathtaking, but she really outdid herself with her Lunar Calendar bullet journal spread. 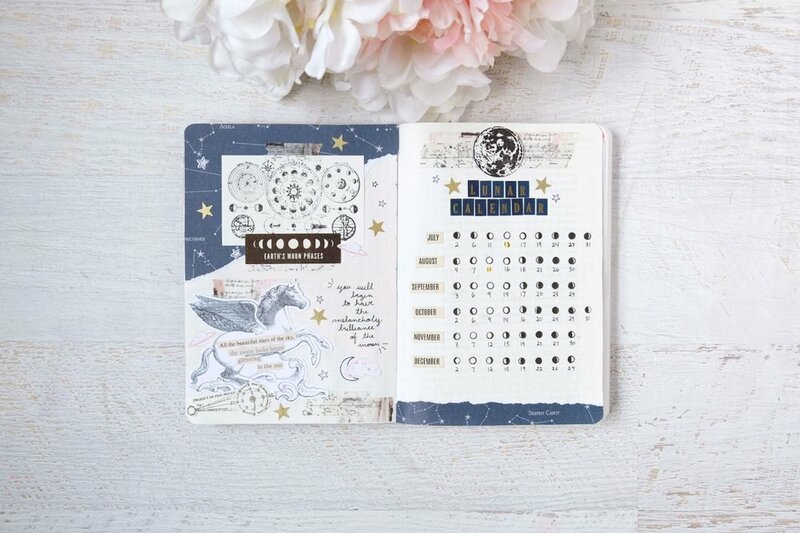 She used the vintage pegasus die cut from my Celestial Whimsy collection along with some other supplies she had on hand to create these dreamy, celestial pages. Tiffany's process videos are a treat to watch. I love seeing her process broken down. She is so talented! 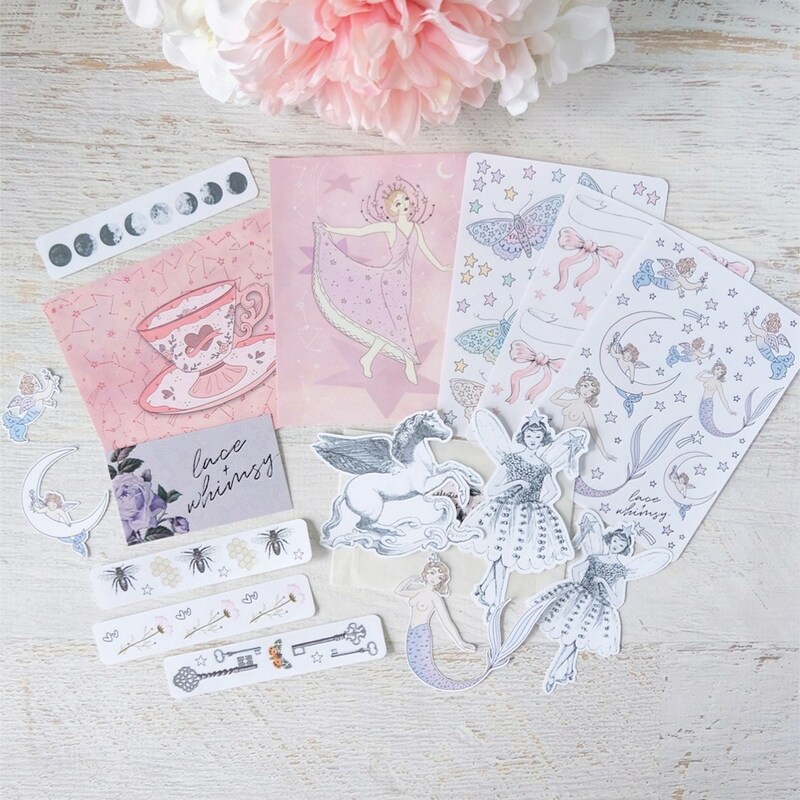 Tiffany also created this gorgeous pastel spread, using mostly stickers from my Sweet Adventure collection. I love seeing my amusement park themed stickers being used for a Disneyland journal spread. How perfect! 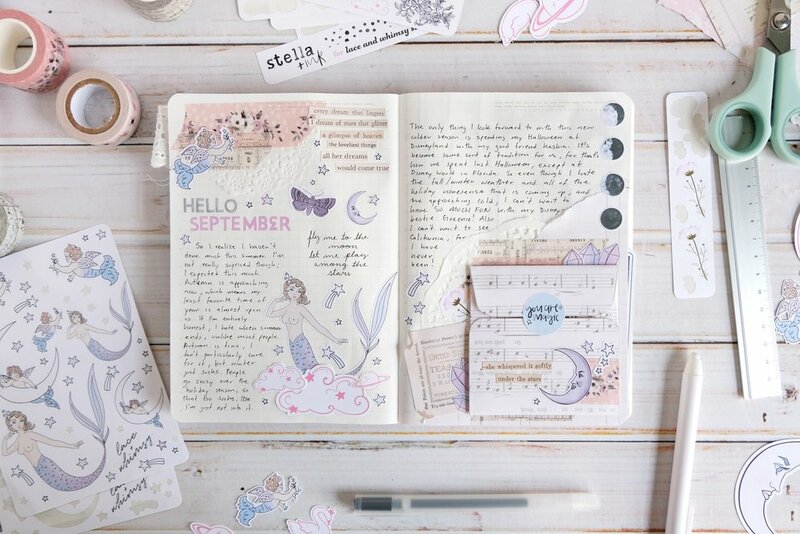 Head over to aerialovely.com to see the process video for these beautiful September pages + be sure to follow Tiffany on Instagram if you aren't already! All photos in this post property of aerialovely.com, used with permission.